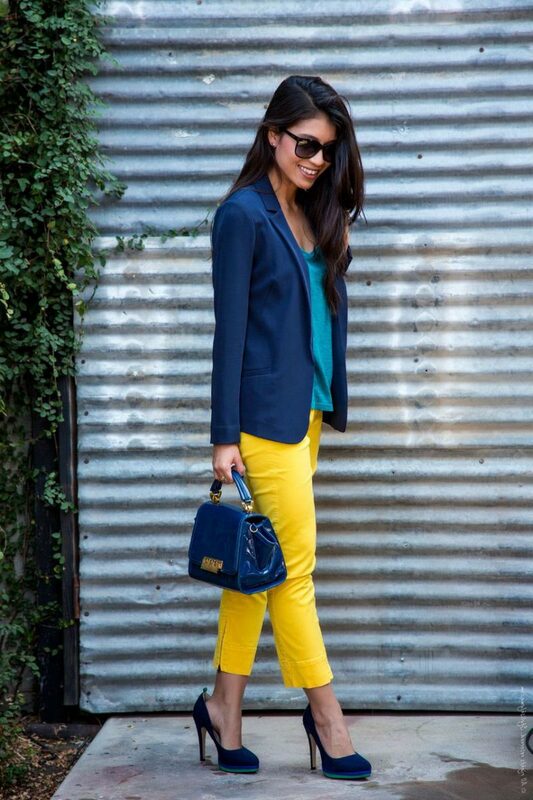 The first color combo you can try is navy blue and bright yellow/ orange. This is a perfect way to underline your uniqueness and sunny touch to your stylish outfit. Try on these colors during gloomy and rainy days. For instance, you can try on collarless bright orange coat and style it with Christmas printed sweater, chambray shirt, and dark blue skirt. 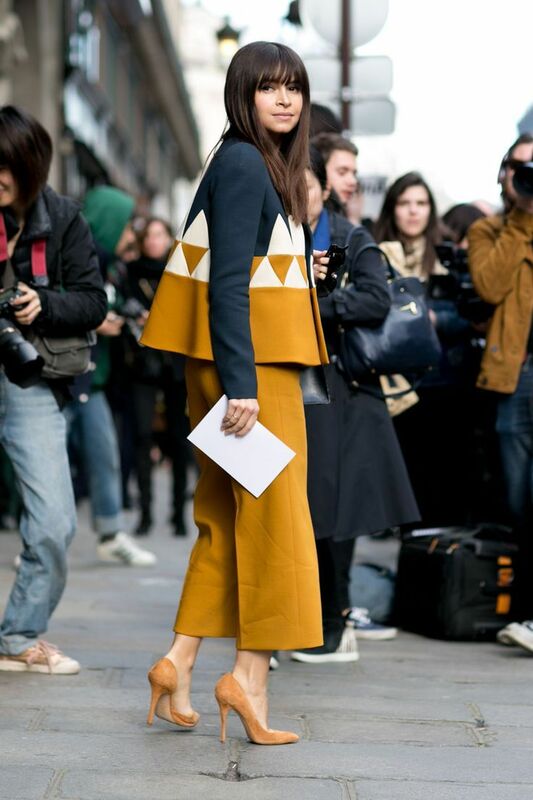 Or you can keep things modern by teaming navy-white-yellow printed jacket with wide cropped trousers. This combo makes you look and feel happier. My next favorite combo to try this year is red and green color outfits. These colors look festive and ideal for creating chic and sophisticated looks. I don’t know how about you, but green and red colors always remind me of holidays and New Year. 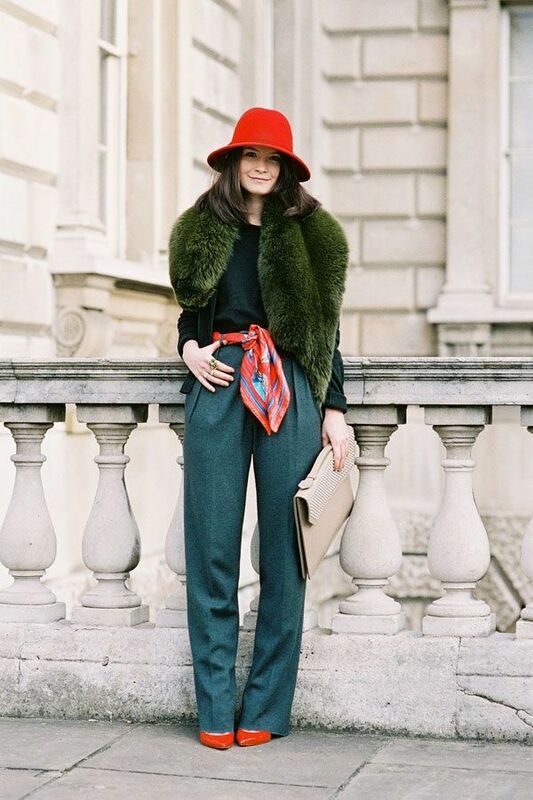 If you want to try these colors, then try on a red-brimmed hat, lush emerald green fur shawl, dark green sweater tucked in high-rise wool charcoal pleated trousers completed with red pumps. If you are more into sweet and light colors, then you should combine mint with grey color. I think pastel hues are ideal for winter and fall season wear. 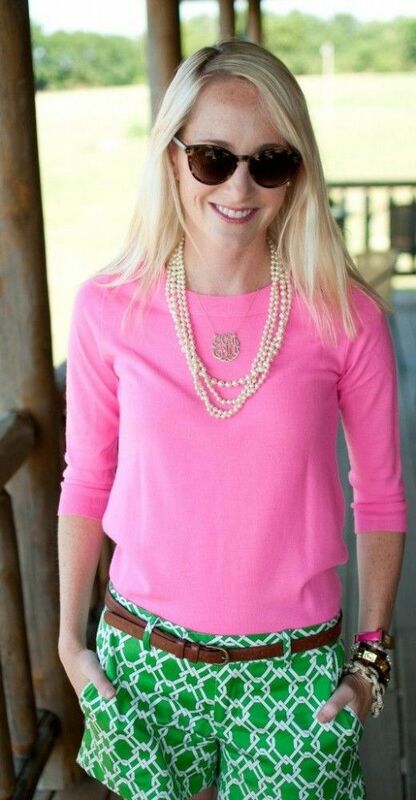 It’s very easy to create a relaxed and beautifully balanced look, all you need is the right clothing. 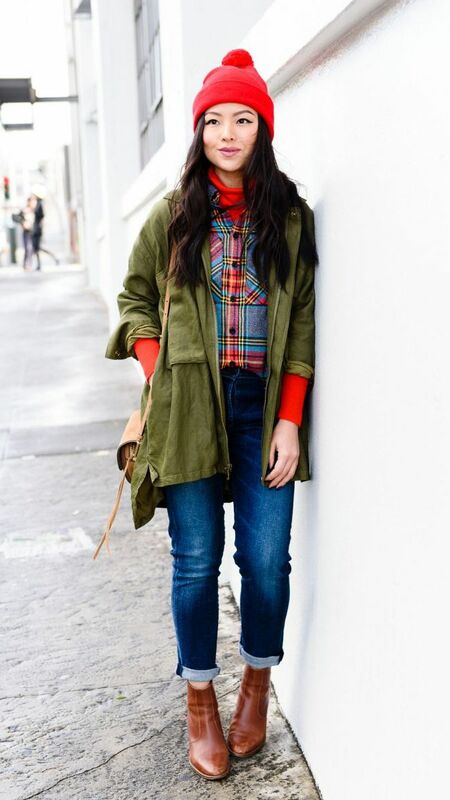 Try on mint tailored trench-coat and style it with a white tee and greyish skinny pants, or you can simply team charcoal wide-brim hat with a mint oversized sweater. If you are in search of something elegant and chic, then you might like to try on soft and feminine color combo: pink and burgundy. These two shades look ladylike and very bossy. You can try on burgundy fitted top and style it with the white button-down shirt worn underneath and pink high-rise knee-length skirt. If the weather is cold, then you can add opaque black tights. How about teaming blush silken blouse tucked in a burgundy leather mini skirt. Khaki and military green colors look insanely hot. Try them on with your favorite cable knit white sweaters, regular fit blue jeans, and simple tops. This color is perfect for those who want to look classy and trendy.